Dr. Detering dedicates a large section of his article to Buddhism (pp. 14-26). While I find some of his arguments more persuasive than others, here I will only examine points that are relevant to our main subject: ‘crossing over’ in Buddhism and possible links with Christianity. In the process, I will also present material not mentioned by Detering that adds support to his main argument. The first part of the this post continues the discussion on the Odes of Solomon (pts. 18-20). In the 39th ode we read that “raging rivers” obstruct the unholy but are crossed “in faith” by the elect (vss. 1-6). The Lord bridges the waters “by his word, and he walks and crosses them on foot, as his footsteps stand firm upon the waters” (vss. 9-10). Of course, one is immediately reminded of Jesus’ walking on the Sea of Galilee during the storm (Mt 14:22 ff & pars). The motif of ‘standing firm’ in water repeats in Ode 39:11, and one is also reminded of the priests standing firmly in the middle of the Jordan as all of Israel crosses over (Josh 4:17). One wonders at the enduring scriptural emphasis placed on this rather strange motif—as if standing on water or in the middle of water (cf. baptism) had special meaning. And, indeed, previous posts in this series have suggested a meaning: standing in water was once allegorical and signified standing in gnosis. The all-important stones taken from the middle of the Jordan River (Josh 4:3) are a perpetual memorial (v. 7) to that which endures in the middle of the river/water/gnosis. It appears that gnostics knew this standing motif well, for it colored their view of the Exodus event and also of the crossing of the Jordan. In gnosticism, stones were a symbol of the eternally enduring gnosis itself, that is, of the immortal Word of the Lord (OdeSol 10:2; 15:9) that stands firm in the turbulent waters of life. In this light we can understand the “Standing One,” that is, Simon Magus. Simon’s genetic relationship to Simon Peter now also emerges, for Peter (“rock/stone”) is the foundation “upon which I will build my Church” (Mt 16:18). Of course, in the Gospel that foundation rock is no longer gnosis but is now the invented figure of Peter, the first Pope. The concept of standing in the middle of water apparently lies at the very roots of Christianity. I have pointed out that amad, the Aramaic term for “stand,” also means “baptize.” This astonishing overlap cannot be mere coincidence. The “Standing One” is also the “Baptizing One”! Thus, the figure of John the Baptist also must enter our discussion. Could it be that Simon Magus was a precursor both to Simon Peter and also to John the Baptist? After all, the Magus is a first century figure, while Peter and also John inhabit the canonical gospels and thus are second century figures. According to the chronology found on this website, the Odes of Solomon belong to a pre-canonical stage. The foregoing discussion, including Buddhist influence, thus belongs to a “pre-Christianity.” This is precisely the view of Stevan Davies, who has written an important article, “The Odes of Solomon—Evidence for a Pre-Christianity.” I possess an unpublished version of his article, though I understand it appeared in revised form at the end of Davies’ 2014 book Spirit Possession and the Origins of Christianity. While Davies does not mention Buddhism, he concludes: “The Odes represent the Jewish religious movement out of which Christianity arose so that the Judaism of the Odes (not the specific texts of the Odes themselves) lies at the root of Pauline Christianity and Johannine Christianity…” In my own schematic framework, “the Judaism of the Odes” corresponds to Stage II Christology (the indwelling spiritual Jesus). That stage dates to I CE. The Anguttara Commentary (AC, also known to Pâli scholars as the Manorathapurani) apparently dates to the time of Buddhaghosa in V CE. A leading authority, however, has noted that the AC contains much older material (O. Hinüber, Pâli Literature, 1997:112 & 121). Is it possible that the Buddhist tradition is older than the Christian version (which, as I have argued elsewhere, dates to II CE), and that the Buddhist story influenced the more complex version in the Gospel of Matthew? This noble disciple, we are told, possessed of faith and serenity of mind, set out one day for Jetavana monastery. At eventide he reached the bank of the river Aciravati, after the boatman had beached his boat and gone to hear the preaching of the doctrine. In Buddhist history the way of gnosis was also supplanted by the way of faith: liberation by individual discovery (e.g. 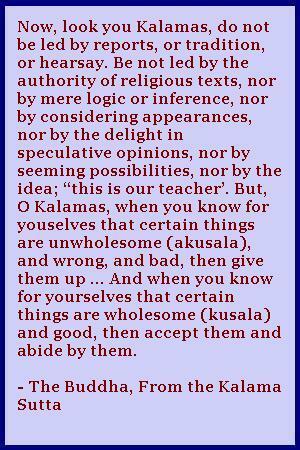 the Kalama Sutta) gave way to following the path of the Buddha. Thus, in the above story the noble disciple concentrates his thoughts on the Buddha. For him, is no longer a question of finding gnosis, but of following a founder figure. Together with faith came the miraculous. Both are late. Again, miracles are conspicuously absent from the Gospel of Thomas. In the East, the miraculous is also absent from the Sutta Nipata, generally considered the earliest collection of Buddhist dogma. The above parallel between the Jataka tale and the Gospel of Matthew is thus already late—both passages contain the miraculous and in both cases gnosis has been superseded by faith. We can surmise that, in its present recension, the Jataka tale is not one of the earliest of the 547 that are extant. On his p. 21, Detering offers an astonishing quote that captures the later stage of the tradition and the inverse of the earlier theology: faith leads to gnosis! That claim would have been strenuously rejected not only by proto-gnostics in the West but also by the Buddha. Yet it well reflects a later and more modern mindset (both in the East and West)—a mindset that accompanied the birth of Christianity as the religion moved from gnosis to faith. We recall that water (= gnosis) symbolically both destroys and saves (as in the account of the Flood). According to Keith’s view, however, only faith in the teaching of the Buddha saves. The difference may appear slight, yet therein lies salvation or slavery. The proverbial wide way is easy—it supposes someone else has done the hard work for us. The narrow way, by contrast, is difficult—it knows that no one can save us, but that we ourselves are the source of our liberation. In closing, we conclude that the idea of a “spiritual Exodus” doubtless was a genuine product of the Indian conceptual world and derived from it. The idea goes back from (Mahayana) Buddhism to the early Vedic literature and the Upanishads. In its developed, worked-out form it finds no complement Jewish, Greek, or Roman literature. This means that the most significant parallels to the Gnostic interpretation of the Exodus are entirely to be found in Indian and Buddhist religious traditions. The Gnostics used Old Testament models and themes, but they infused them with spiritual content from Indian and Buddhist traditions. The deciding question now is: Where do the two lines meet—Jewish tradition/Hebrew bible on the one hand, and Buddhist/Indian spirituality on the other? At what point do they intersect? The answer is straightforward and requires only a glance. In fact, we have already discussed the point where the two lines intersect—it is in Alexandria. More precisely, the lines intersect with that enigmatic sect discussed by Philo Judaeus: the Therapeutae on Lake Mareotis.